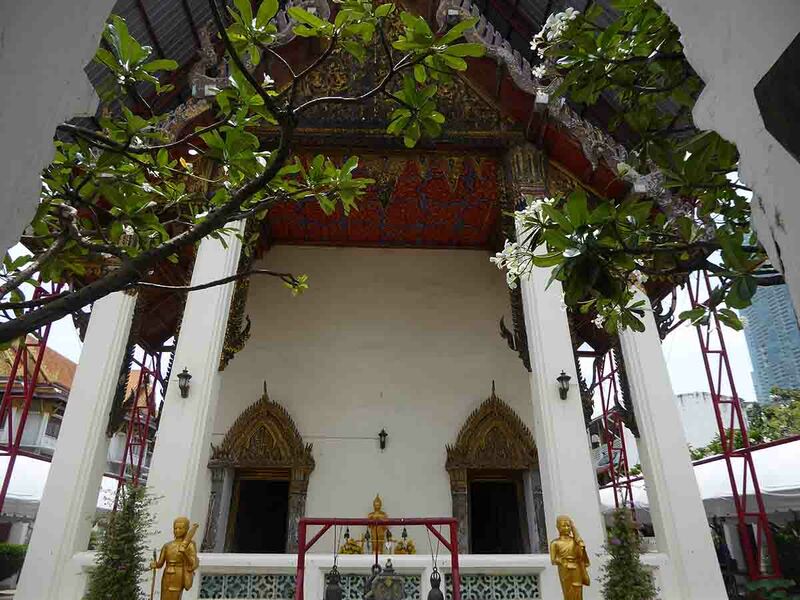 Wat Yannawa is an old Ayutthaya period temple located on Charoen Krung road in the Sathorn area of Bangkok. It’s famous for the unique Chinese Junk shaped chedi and viharn. It was built in this style by King Rama III to remind people that the Chinese Junk ships were quickly disappearing and being replaced by steamships, so he wanted to show future generations what they looked like. The Chinese Junk is made of concrete and over 40 meters long. 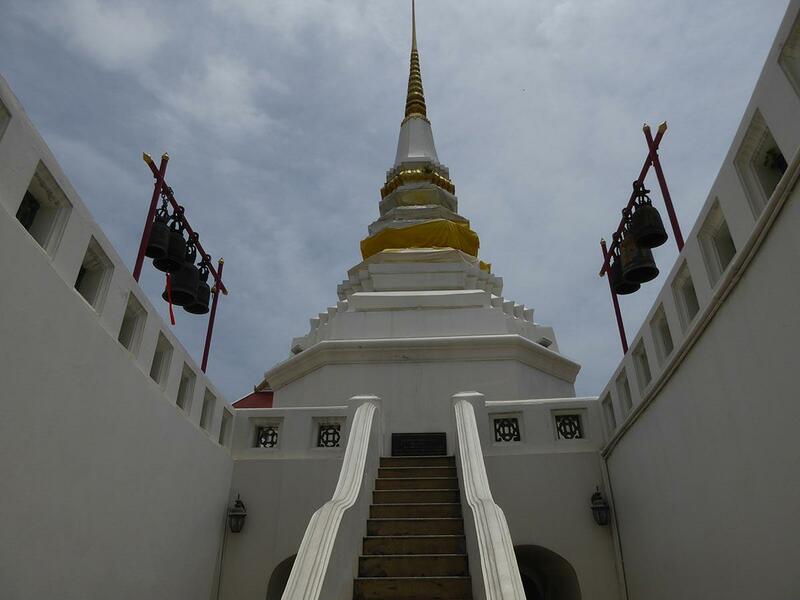 The two white chedis mimic the ship’s masts. 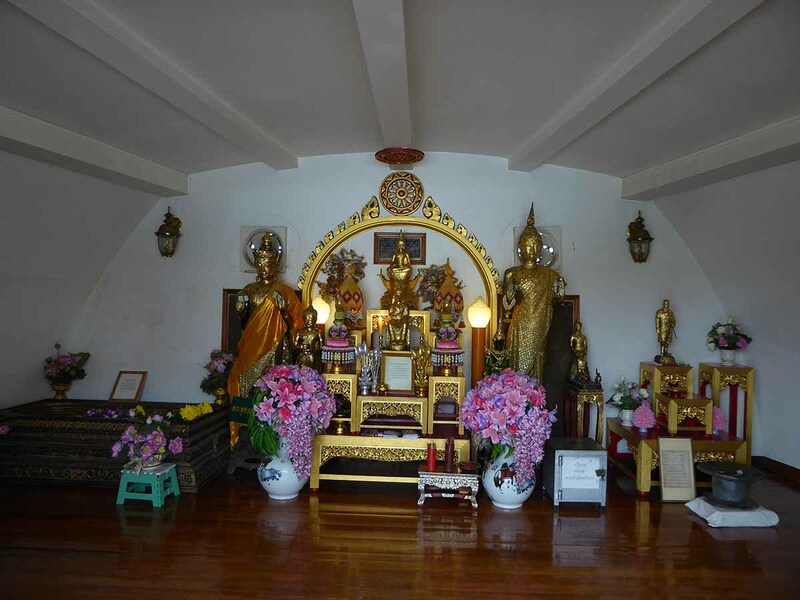 At the back of the boat, the wheelhouse contains Buddha images where worshippers pray and leave offerings. 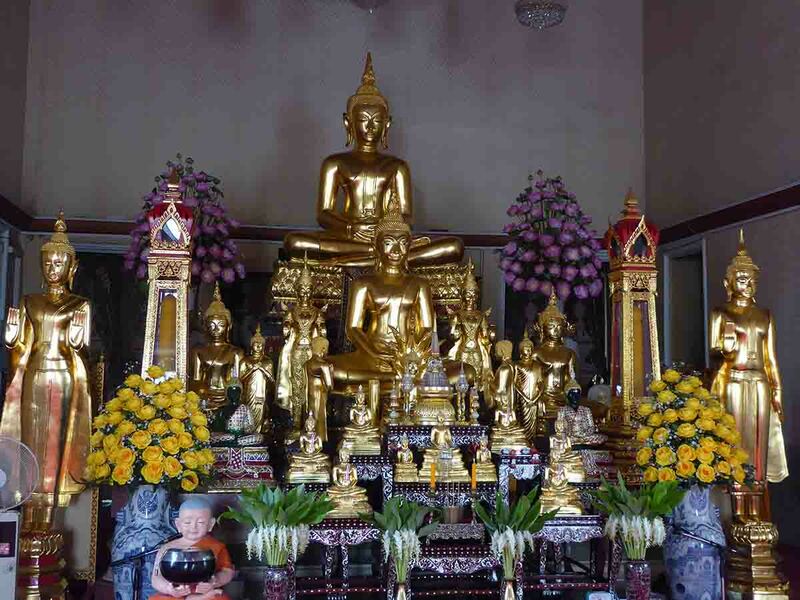 Alongside the boat is a statue of the temple’s founder, King Rama III. behind the boat is a small ordination hall containing Buddha images. 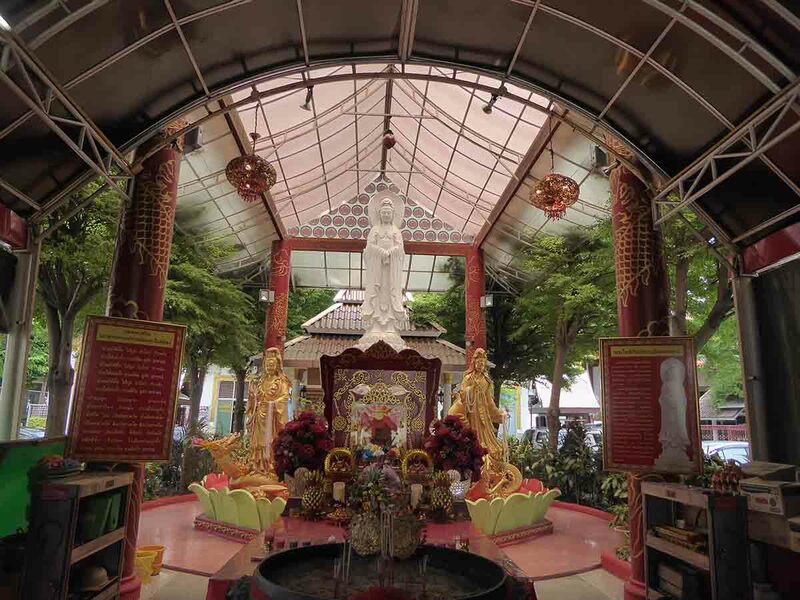 There is also a Chinese shrine to Guan Yin in the grounds. Location: 40 Charoen Krung Road. 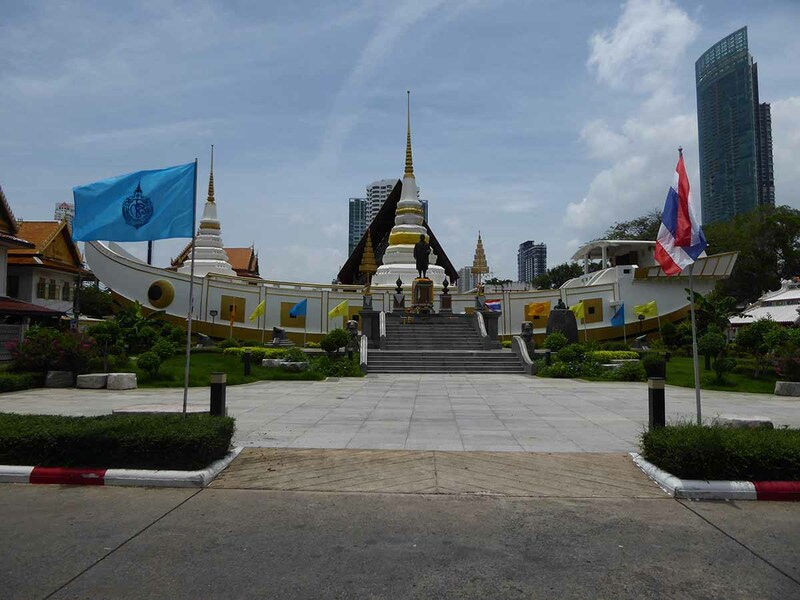 How to get there: BTS: Saphan Taksin station. Turn right on exiting.